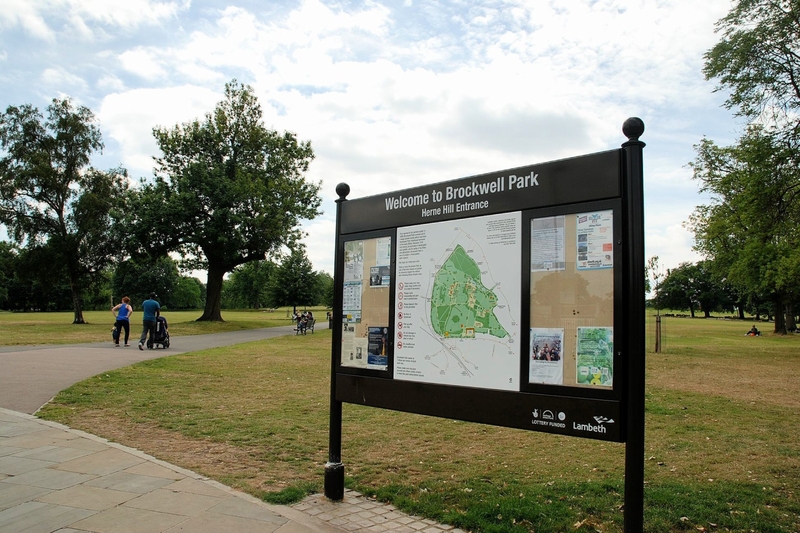 Brockwell Park Area Guide - What makes Brockwell Park so great? Where do Brockwell Park locals go? Delicious coffee made using Campbell and Syme beans, food made by Salon Brixton and sweet treats too. This lovely quirky bar is quiet mid-week for a lovely intimate meal or catch up. And lively on the weekend with a lovely band. Good atmosphere. Rustic style. Share your favourite place to go to in Brockwell Park. "The name Herne Hill comes from an old spelling of "heron" that made its home here on the river Effra that used to run through it." Herne Hill has a fantastic community feel with its independently run boutiques and cafes. You can pop down to Herne Hill market on a Sunday and pick up some fresh produce or locally made clothing and accessories. Brockwell Park, now a National Trust Park is excellent with a Lido and Gym, Tennis Courts, paddling pool, play park and a old house cafe in the centre. What do you think of Brockwell Park? Brockwell Park is a 50.8 hectare (125.53 acres) park located between Brixton, Herne Hill and Tulse Hill, bordered by Brixton Water Lane, Norwood Road, Tulse Hill (Road), and Dulwich Road in South London. The park commands views of the skyline of the city and Central London. At the top of the hill within the park stands Brockwell Hall. What are your favourite things about Brockwell Park? Find out how much your flat or house is worth om Brockwell Park. Feedback about living in Brockwell Park has been submitted directly by the public and may not neccessarily reflect the views of Foxtons. The description of Brockwell Park was modified from Wikipedia and is available under the Creative Commons licence. Land Registry data is Crown copyright. All the views and contributions contained within Foxtons Local Life are those of the contributors. All content is assessed before publishing for taste, however free opinion is encouraged. Foxtons accept no payment or sponsorship for content that is posted about Brockwell Park.